Like any other business discipline, public relations has changed in recent years. The Global Communications Report, a comprehensive worldwide survey of more than 1,000 senior PR executives worldwide, reveals that the worldwide PR industry is predicted to grow from its current estimated size of $14 billion to $19.3 billion over the next five years. It’s true that a PR agency staffer starting out in 2017 will be undertaking research, creating programs, and shaping stories in ways very different from just a few years ago, in large part due to the dominance of digital technology and the blurring of lines between paid, owned, and earned media outcomes that agencies are often charged with generating. 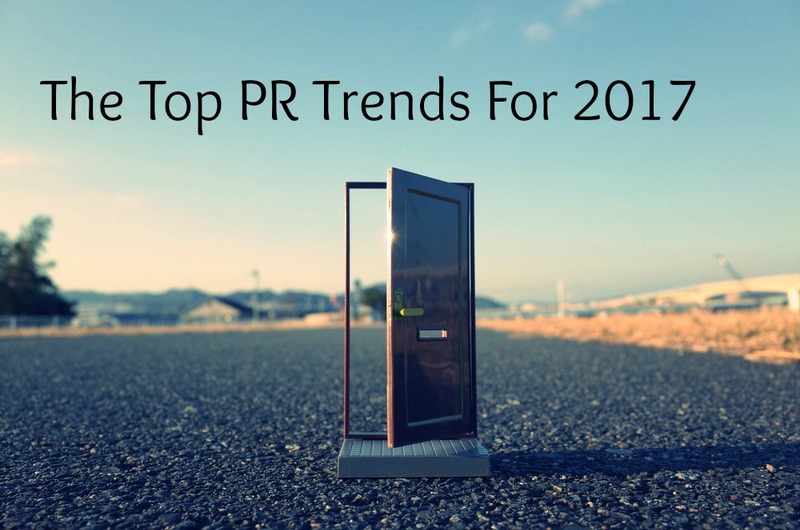 Here are the top new trends that are accelerating change in the practice of public relations and challenging old-timers as we move into 2017. PR is about generating influence. True influence is precious at a time when “fake news” is itself making headlines. As communicators, we will be increasingly asked not only to generate coverage for brands and organizations, but to build the kind of relationships that actually influence behavior, and do so in a transparent way. Many have written about the changing nature of influencer relations in PR, and its move from celebrities and social media ambassadors to so-called “micro-influencers” – those that may not have a huge reach but that are trusted within social, demographic, or values-driven networks. But PR itself is gaining influence, and rapidly. Though it’s an evolution and not a revolution, that’s the real change for our industry. According to a 2015 Chief Communications Officer survey by Korn Ferry, CCOs in the U.S. are taking on more influential roles within their organizations. The takeaway for PRs? The study’s participants named leadership attributes like “courage, innovation, managing through ambiguity, developing talent, and contributing to strategy” as critical to their positions, which are wielding greater clout among C-level executives within the organization. These are among our new critical skills. Content will move to new (and old) channels. Today’s PR programs are less about selling and more about telling….stories that engage prospects or customers, and visual storytelling is hotter than ever. Earned media isn’t going away any time soon, but in recent years, social platforms have dominated. That may be changing in the near future, particularly as content marketing has reached a saturation point.The Content Marketing Institute’s Joe Pulizzi predicts a resurgence of print content led by brands and points to Airbnb, which recently launched a print magazine with Hearst. An even hotter trend is content personalization, or using customer data or behavioral insights to create not just offers and promotions, but branded customized content for distribution through social or email channels. These may skirt the edges of a typical public relations person’s scope of responsibility, but, like the video explosion, it means that PRs will develop content marketing production and distribution skills and bring to their programs a sensibility that transcends the traditional earned media role. PR and SEO are joined. If PR is all about content, it stands to reason that PR and SEO must work together, and that PR professionals should have more than a passing familiarity with SEO and web analytics. When it comes to content, quality and relevance have replaced sheer quantity as a key metric. It all goes back to Google’s now-famous Penguin algorithm update, which as Bruce Kennedy puts it, led to “the shotgun wedding between PR and SEO.” Penguin penalized shady backlinks, keyword stuffing, and other black-hat SEO strategies in favor of quality content. To be shareable, content must be optimized, so fluency in SEO basics is a necessary skill. Thought leadership is more important than ever. In today’s business and media environment, overall business strategy and communications strategy are intertwined. Thought leadership is relevant not just to B2B organizations, but to consumer product companies. The explosion of digital and social media has made every aspect of corporate reputation―from customer service to CEO behavior―relevant to brand image, and therefore to PR. Today, consumer and business brands need to be seen as leaders, and many have seen how an army of influencers can not only propel a business forward, but insulate reputation in the event of a reputation crisis. They must offer ideas and inspiration, not just great products and services. That means more professional communicators are focused on executive visibility and leadership, and that reputation management is built into every program. One of our most important tasks is content creation, but with the explosion of digital content, distribution is more vital than ever if anyone is going to actually see and engage with the material. (See Mark Schaefer’s “content shock.”) But it’s tough to achieve scale without paid tools and tactics. The PRs of 2017 and beyond must therefore be fluent in techniques for finding content niches, new social communities and influencers, paid and unpaid distribution tactics, and emerging Google trends that will impact content sharing. Everything is measurable and measured. The rise of data-driven marketing has been a difficult transition for some PRs because few of us are data engineers and the old guard is unlikely to be trained in analytics. Consequently there’s been no industry standard for evaluation of earned media outcomes. But even without a universal formula for measuring brand mentions, PR is catching up to marketing. A coalition of professional groups has created guidelines for benchmarking and measuring PR programs, and while there’s no one-size-fits-all formula, there’s plenty of practical advice on how to use those principles. I’m looking for content on PR and communication and for people with good knowledge surrounding the topic. Please let me know if you would like to be featured on our blog, full credits, your bio and a link back to your site will be added as well.